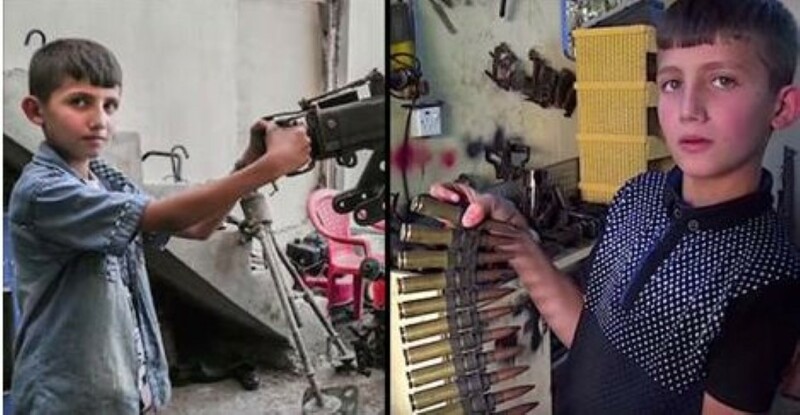 Home News 12 Year-Old Boy Fixes Guns For Soldiers Fighting ISIS! Many young boys and girls get part-time jobs to subsidize their pocket money. For many in the western world in might be delivering newspapers before school or washing cars at the weekend. A few bucks here and there to help pay for school things and candy and whatever else they need or want. But in Northern Iraq, one little boy has taken a job on outside of school hours that’s shocked the world… He’s a gunsmith! 12 year-old Omer has decided he wants to pitch in and help the family business by assisting his dad whenever he gets the chance by getting stuck in repairing weaponry for soldiers fighting ISIS. Next articleBear Gets Run Over; Frees Itself – Then Totally LOSES It!